We spend most of our time working in front of our computers and mobile devices. As a result, we don't care our health and never finding the time for to go to the gym or a fitness class and also not choosing fast food over much healthier options. 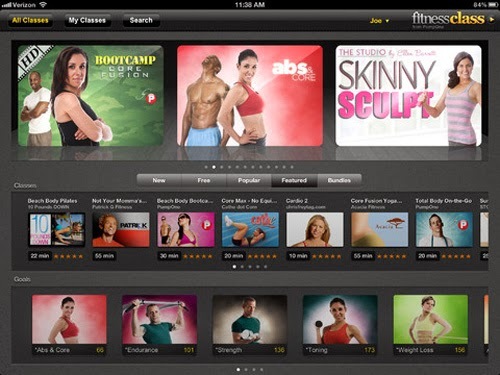 The good news if you are interested for gym or fitness class, you can actually find iOS apps that can help you. 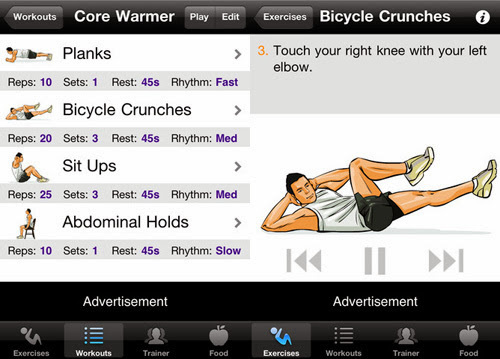 Workout Trainer app provides many different routines with step-by-step audio foe weight loss, yoga or weightlifting. If you are undecided, try shakerciser while staying connected with the fitness community. Workout Trainer application available free on iTunes. 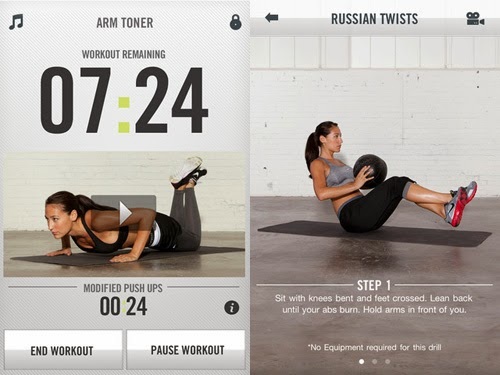 FitnessClass is a high quality workout sessions from all over the world, all in one app. You can find the right instructions for your health. You can also post your own reviews of the videos, Calculate the amount of categories burned per session and also post the progress of your session to your social media sites. This application also available free in iTunes. AB Workouts is a handy app which guides you in abdominal exercises and you can complete with animations and a trainer's voice. You can even design your own custom exercises. This app also provides the information about food that informs you which food are good for fighting abdominal fat. Runkeeper keep track of your fitness status: pace, distance, time and heart rate as you run. 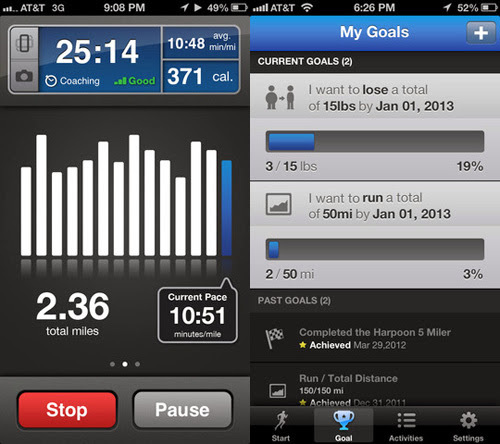 Improve your running performance with Runkeeper by viewing your detailed history of progress. You can set goals and deadlines and the app will notify you hit personal bests. RunKeeper also available free in iTunes. Nike Training Club is your own personal trainer application. The app built with detailed instructions and audio support for all 130 dynamic designed to build your strength and train your stamina and you can also track details of your training process and workout history.